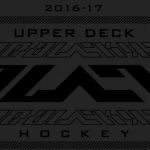 Upper Deck has upped their game with this year’s release of Black Diamond Hockey. 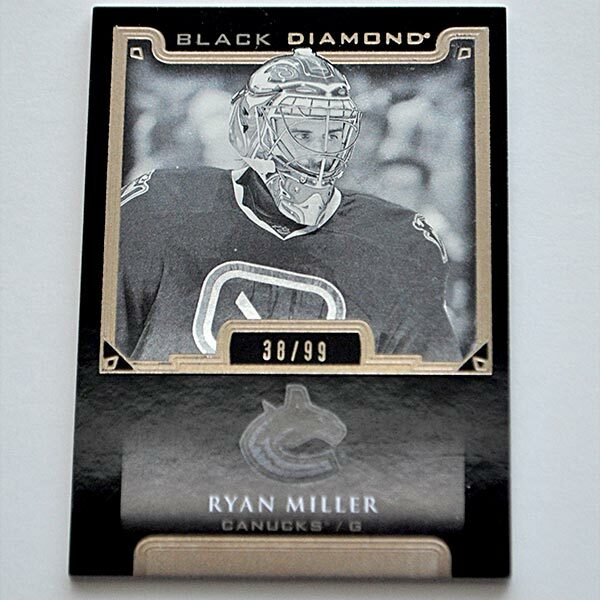 Over the past decade, Black Diamond was one of those $100-per-box, impossible-to-complete sets that most collectors bought just for the hits. 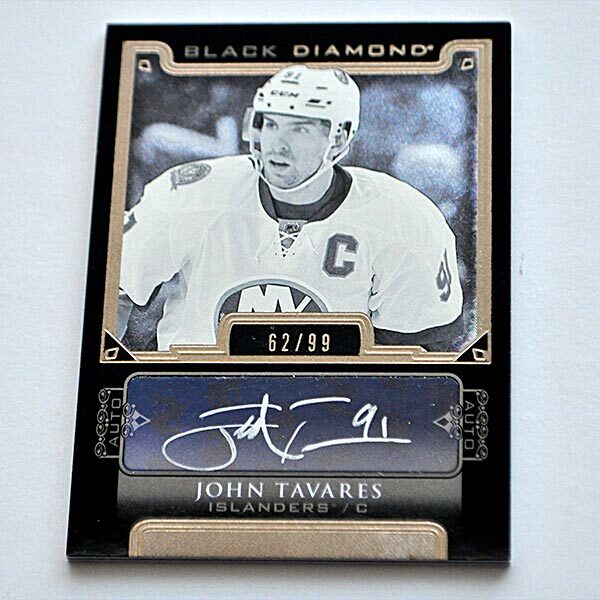 So, in 2015-16, Upper Deck has made Black Diamond all about the hits. Seems like an obvious idea, but it was a great idea, too. 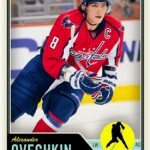 This year, a box of Black Diamond contains only one five-card pack, plus a bonus pack of Exquisite Hockey. 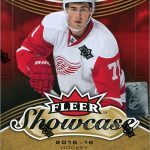 (Collectors can find packs of Exquisite Hockey in other sets released throughout 2015-16.) Of all the six cards, they are either an autograph, a jersey card and/or a card serial-numbered to 199 copies or less. But all those hits come with a price; a box of 2015-16 Black Diamond costs $250. I recently busted a box of 2015-16 Black Diamond. Let’s see what treasures were found within. One thing, though. The cards I got might vary greatly from the cards you might get. That is because there are numerous game-used and autographed subsets and/or parallels, as well as base parallels. Cardboard Connection has a pretty helpful checklist on their site. OK, now onto the break. This year’s Black Diamond base cards are limited to 199 copies. The “Pure Black” parallels are limited to just 99 copies, and substitute the color photo for a black and white picture. Considering that there are only 50 cards in the base set — and that they are serial-numbered to a pretty low run — putting together the base set, or the parallel version, could be an appealing task for hit chasers. Some Pure Black parallels are autographed, and look very nice considering that they are the often despised “autograph on a sticker that was then stuck on a card,” or “sticker-graphs” as I call them. Putting an autographed sticker on a card can be hit or miss. Many times, the sticker is not well-integrated into the design, or slapped on crooked — or both, in the case of this Louis Leblanc autograph I got in a box of 2011-12 SPx Hockey a few years ago. (That card is pretty much my “gold standard” when it comes to bad autograph cards.) But these auto’d Pure Black parallels use a sticker that is cleverly worked into the design. They are also signed in silver, which looks great with the black-and-white pic. 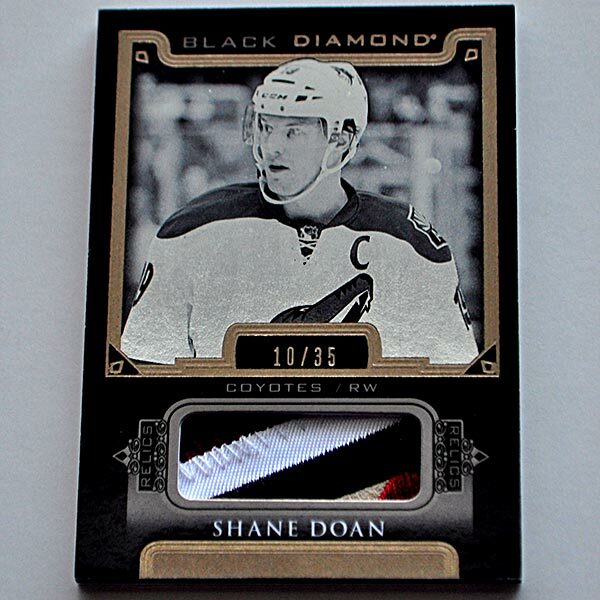 This Shane Doan card uses a piece of the Coytoes logo and is limited to 35 copies. Again, these are parallels of the base set. 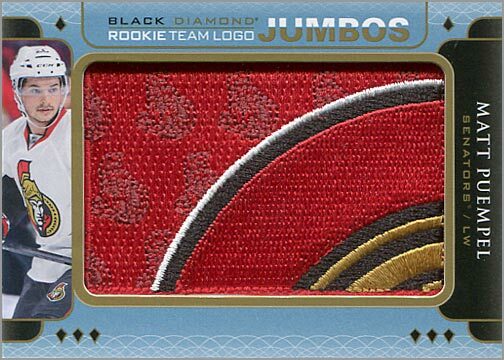 The Jumbo Rookie Team Logo cards use manufactured patch cards. Each one is a puzzle piece that makes a larger team logo. I am not really a fan of manufactured patch cards, and while the puzzle idea is intriguing, I would rather have something that is game-used or that shows an entire logo, such as the O-Pee-Chee manufactured logo patch cards from the past few years. Now, if you are going to do a manufactured patch or jersey card, this is the way to do it. 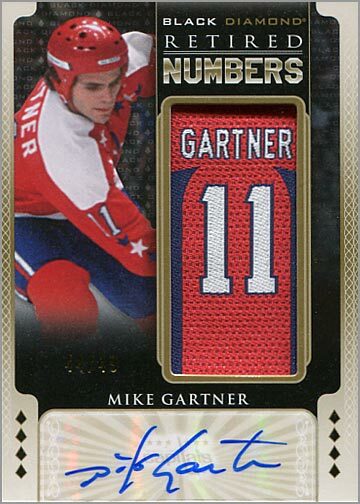 This Mike Gartner card is serial-numbered out of 49 copies and has an autograph — again on a sticker, but cleverly integrated into the design and put on straight. Plus, the swatch of fabric looks like a retirement banner that would hang at a stadium. 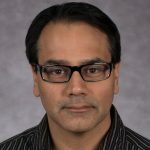 The only thing that could be better is Gartner’s picture, as it shows him before he grew his sweet, trademark mustache. 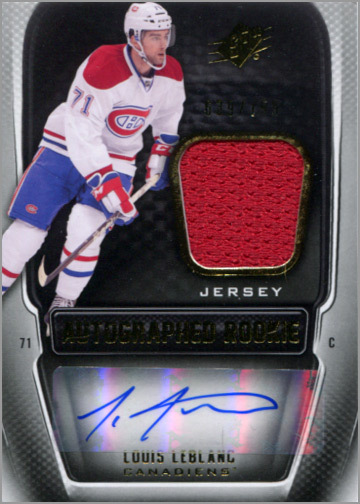 The bonus pack of 2015-16 Exquisite Collection Hockey had a Nikola Ehllers “Event Used” jersey card, with a swatch of the jersey he wore from the Rookie Photo Shoot on it. The card is numbered out of 299 copies. The design isn’t very creative though, as it looks like this could have come from an Artifacts set; maybe 2010-11? 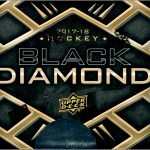 What I like about 2015-16 Black Diamond Hockey: Focusing Black Diamond on just the hits was a great idea. So was limiting the base set to 50 cards of just current and retired stars, and limiting the base cards to 199 serial-numbered copies. Autographed cards look great despite using stickers. 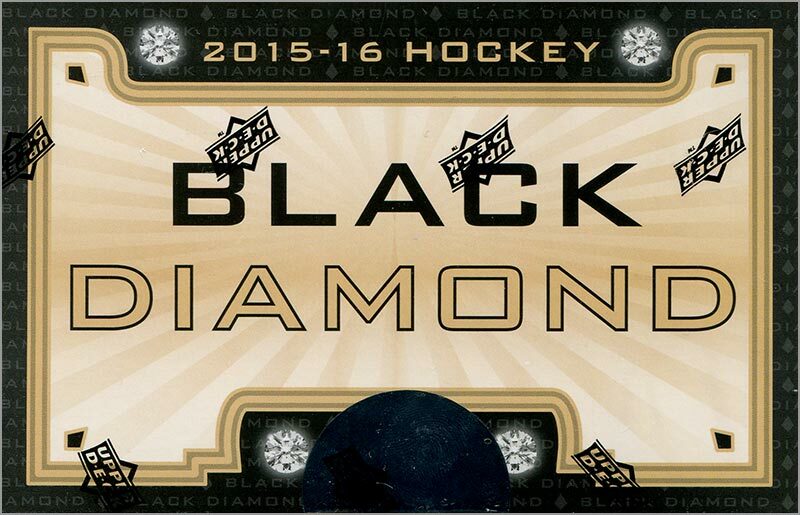 What I do not like about 2015-16 Black Diamond Hockey: $250 a pack is still a steep price to pay. That’s $50 per card, or $42 per card if you count the bonus Exquisite card. Huzzah! I can finally be done with buying boxes of BD every year! 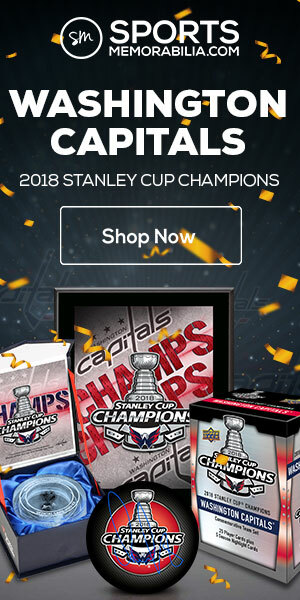 Thanks Upper Deck. Ridiculous. 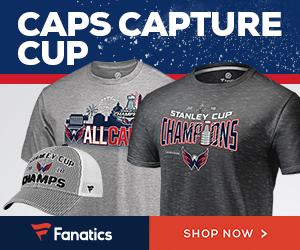 I can’t see anyone seriously collecting/trading this line any longer. As far as the Black Diamond unwanted base cards, I usually buy them as a set from a dealer — usually they’re nice looking cards, and easily worth the $5/set I’ve been getting them for. Glenn, I agree with some of what you said. For $5 or $10, we can get usually pick up the 100-card Black Diamond base set every year. This is because people buy many boxes, and dump off the base cards. Sometimes, I’ve seen guys open boxes of Black Diamond at a card shop, then give all the base cards back to the dealer, who in turn sell then for next-to-nothing. But trying to complete the larger set is no fun. There are too many short-printed cards, and picking them up gets expensive fast. So, the hit chasers don’t want the base cards, and guys like me only need one base set, and can’t really build a full set if we wanted to. I think refocusing Black Diamond on just hits makes it the most appealing to those shelling out the big bucks for a box, and not the people scooping up the base sets for a couple of bucks. Plus, as set builders, I feel that we still have a lot of options, like OPC and UD s1/s2.